On Oct. 31, millions of kids and families across the country are going to deck themselves out in their best Halloween finery, grab their candy sacks and take to the streets for trick-or-treating. It's one of the most well-known autumnal traditions, and a major fan favorite for children all over the country. If you're too old to go door-knocking for candy, you still have to think about the young ones in your area who will be on the sidewalks and streets in the evening. Safety is an integral part of keeping Halloween fun and family-friendly for everyone involved, and that includes drivers on the roads as well. Do your part to keep Halloween safe this year by keeping these driving tips in mind. Your attentiveness should be at maximum any time you get behind the wheel of a car, but crank it into overdrive if you're driving on Halloween night. In addition to all the normal driving hazards, keep in mind that the streets will be teeming with kids, not all of who have as firm a grasp on traffic laws and etiquette as you. Add to the fact that many costumes can make it more difficult to spot children until it's almost too late, and hitting the road on Halloween can seem like a dicey affair. Just be sure to pay extra attention to your surroundings, and drive slowly – especially if you're in a neighborhood or other residential area. Everyone has been warned away from using a cellphone while driving, but we're all human, and most of us have been known to steal a glance at a text message or Facebook update while behind the wheel. Despite how safe you think doing so would be, resist the urge. Distracted driving is a serious problem. 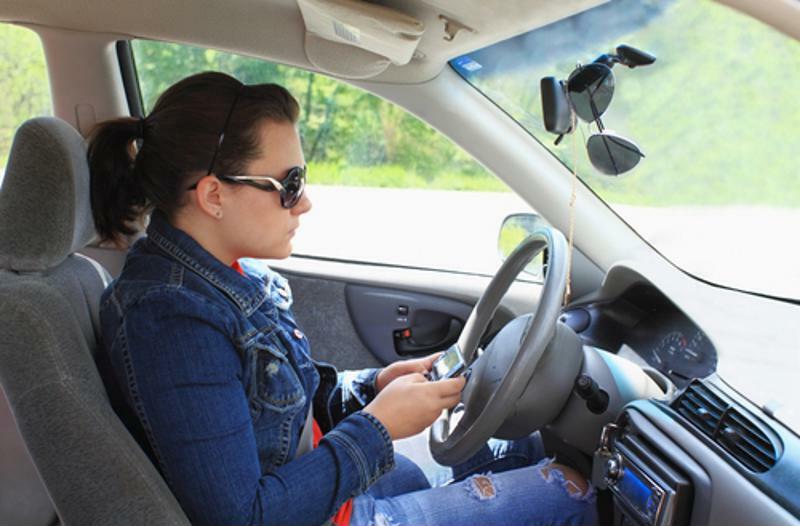 According to Distraction.gov, there are around 660,000 drivers on the road checking their phones at any given moment. That's 660,000 potential accidents that could have been avoided. 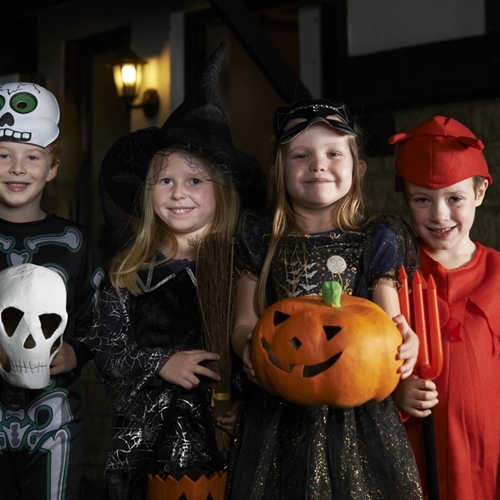 Remember, Halloween isn't like other days of the year, since the number of children and families out and about is much higher than normal. Your text message or voicemail will wait until you've stopped driving – it's not worth the risk. Yield to pedestrians in crosswalks, especially if there are children in the group. Again, this is something you should be doing anyway, but it's especially important to do so on Halloween evening. Keep in mind that young children may not be as aware of their surroundings as adults are, and they almost certainly lack your understanding of traffic laws. If you see a child or group of youngsters approaching a crosswalk, you can't expect that they'll stop, even if you have the right of way. Get into the mindset that Halloween driving means yielding to pedestrians any time you encounter them. It may seem like a nuisance, but if you give yourself some extra time to get to your destination, you can be on time and keep children safe in the process. "Drinking and driving is absolutely never O.K." While the little ones are going house-to-house asking for candy, many adults use the Halloween holiday to go to parties. As with any festive get-together, parties often mean alcohol. It goes without saying that drinking and driving is absolutely never OK, so you should plan your transportation options based on how festive you're planning on being. You may decide that the best transportation decision is to take a cab so you don't even have the option to get behind the wheel while intoxicated. Just remember that Halloween is a busy night, and cab companies and ride-sharing services like Uber may be very busy, so plan your travel accordingly. Of course, not all motorists on the road on Halloween night are navigating their way around crowds of trick-or-treaters. It's not uncommon for parents to load their kids into the car and do some All Hallows' Eve driving themselves. While you're in the car, all of the above tips apply. But also keep in mind that you may spend some of your evening dodging drivers, so prepare your children ahead of time to be safe on the road. Make sure costumes are outfitted with reflective tape in prominent areas so that children can be visible to drivers – especially if your kids are sporting dark-colored costumes. Halloween is here, and soon the streets will be crawling with children and families of nearly all ages dressed up in their spookiest, sexiest or most recognizable getups as they trawl the neighborhoods for candy. But kids and party-goers aren't the only ones who can take advantage of the holiday's tradition of dressing up in wacky or scary costumes. There's no reason your car can't get in on the fun too. In fact, Trunk or Treat has become a rather popular event around the country, with motorists showing off their wheels in a different way than they normally might. If the idea of cool cars in even cooler costumes – carstumes? 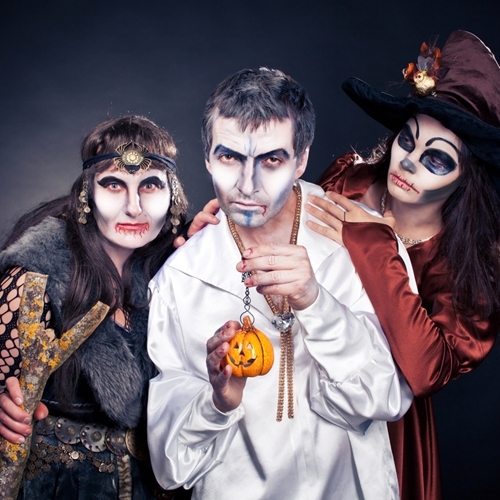 – tickles your funny bone, you may want to explore Trunk or Treat options near you. Wait … Trunk or Treat? If you aren't familiar with this phenomenon, don't worry. Trunk or Treat is still somewhat little-known, but it's definitely growing in popularity, and the people who take part every year love it. Usually a community-sponsored event, Trunk or Treat involves car-owners decking out their cars – or more specifically, their cars' trunks – with funny, cute, spooky or thematic decorations. The cars all congregate in a nearby parking lot, cul-de-sac or similar area, and then motorists hand out candy to people who come by. Visitors to a Trunk or Treat even don't just come away with a bag of sweets, they also get to enjoy the creative efforts of the car owners who participate. The key to successfully Trunk or Treating is choosing the right type of decoration for your car. Here are a few ideas to get you started. "It's hard to go wrong with a classic spooky Halloween setup." At the end of the day, it's hard to go wrong with a classic spooky Halloween setup. After all, the holiday is known for ghosts, witches, vampires and skeletons, and a trunk decked out with these classic fixtures is sure to please the seasonal nuts in your group. The best part is that there are no shortage of classic Halloween-themed decorations at local party and costume shops, and you don't have to spend lots of money or time to create a pleasing result. You can start setting the mood by framing your trunk in fake spider webs (with plastic spiders scattered throughout, of course). From there, the possibilities are nearly endless. You could go for a classic graveyard theme, using cardboard or Styrofoam to make tombstones that you can then spray paint gray and write funny or spooky names on. If you're feeling a bit more fab than drab, swap the graveyard motif for something reminiscent of Dracula's castle, complete with miniature throne and lots of red curtains surrounding it for that royal look. Of course, Halloween isn't all about doling out scares – at least not anymore. In fact, some of the best and most relatable costumes people wear every year focus not on chills, but on mutually recognizable moments from pop culture. Popular TV shows, movies and even comic books all make perfect fodder for a Halloween-themed setup. For example, if you're a big fan of the hit TV series "Mad Men," decorate your trunk to look like a 1960s-era office, complete with (fake) wood and chrome details and maybe even a (fake) bar to go along with it. Just be sure to dress the part yourself. "A kid-friendly or family-friendly exhibit will go a long way." Because Trunk or Treat events tend to be community-sponsored, chances are a kid-friendly or family-friendly exhibit will go a long way. Once again, there's no shortage of inspiration here. If you have kids yourself, feel free to mine their bookshelves and DVD collections for ideas from popular literature and movies. If your household is a big fan of Maurice Sendak, for example, turn your trunk into a fantasy forestscape ripped right from the pages of the iconic book "Where the Wild Things Are." While we're on the subject of forests, why not carry Trunk or Treaters away to the Hundred Acre Wood by opting for a Winnie-the-Pooh-themed setup? With a little creativity, you can spruce up your car to match just about any imagination-scape you and your kids can come up with. Trunk or Treat can be enjoyed by any car owner. If you want to get in on the fun, head to New Jersey State Auto Auction, where you'll find hundreds of Carfax-certified cars to choose from. Fall is the time of year for enjoying beautiful foliage while sipping on a pumpkin-spice something-or-other. If you're an autumnal aficionado who happens to have a car, your options for fall enjoyment are even greater, as you can hop into your vehicle and go on a sight-seeing drive through the vibrant countryside. Unfortunately, your car doesn't share your enthusiasm for autumn foliage. While the fall leaves can be pretty to look at, they can also be a source of safety and maintenance concerns for your car. But you shouldn't let a little thing like some fallen leaves ruin your appreciation of this beautiful season. Pay attention to the following safety and repair concerns so you can hit the road to leaf-watch without a care. If you're fortunate enough to live along a country back road, you're in a great spot to enjoy some of the prime viewing vantage points for the seasonal foliage. But these leaves that are so stunning to look at are also a potential safety hazard, especially on those winding country roads. As leaves fall, they can blow into the road. When it rains, leaves that were formerly dead, dry and brittle become wet, mushy and slick – exactly the kind of conditions you want to avoid driving on. Because roads tend to be leaf-covered in the fall, it's a great time to check your tire traction and air pressure, if you aren't already doing so regularly. Well-maintained tires will be your best line of defense against this particular hazard. "Even small piles of leaves can cover up potholes." Fallen leaves can be more than a traction issue. In heavily wooded areas, significant leaf piles can form that may actually cover up markings on the road such as driving instructions or dividing lines. More significantly, even small piles of leaves can cover up potholes enough for you to not notice them. If you don't know that a pothole is there, you don't know to slow down. As a result, you may hit these covered-up obstacles quickly enough to damage your suspension or your tires. If you're driving on an unfamiliar road that's particularly leafy, use extra caution. If you do notice a pothole, many cities and municipal government offices encourage citizens to call and report them so they can be fixed. It's not just wet, slippery leaves that can be worrisome for drivers. In fact, parts of the country that don't experience much precipitation present unique hazards to drivers. You may not realize it, but dry leaves can be a fire hazard. EInsurance recommended against parking your car on top of a pile of dried leaves – or any other type of dry foliage such as pine needles or fallen branches. If you do, your car's catalytic converter could start a fire when you next turn it on. 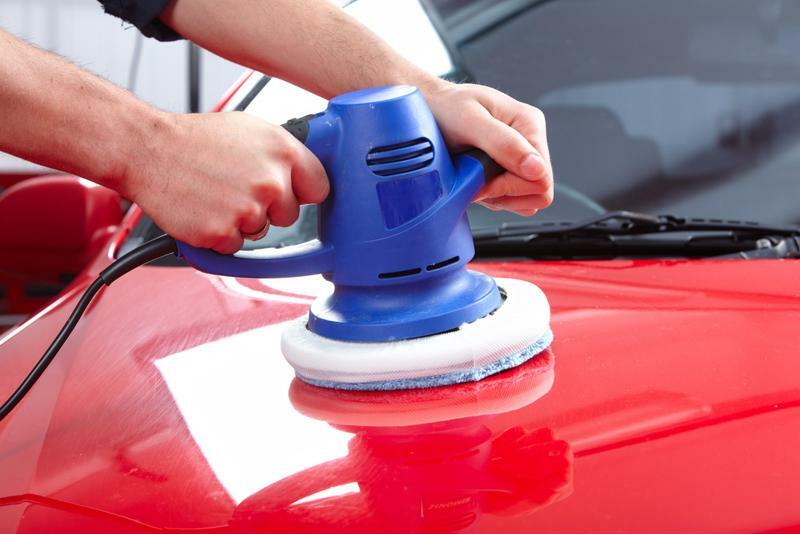 Leaves can damage your car's paint job, but it's nothing a good polish won't take care of. Leaves aren't just potentially hazardous, they can also be damaging to your car even when you aren't driving. It's virtually impossible to keep leaves from falling on your car, but you should make a point to clear them off when you notice them. If they linger for too long, water and tree sap can actually seep out of the leaves, resulting in unsightly stains on your car. Telegram recommended removing these leaves by hand rather than trying to sweep them off with a broom, as the bristles can scratch the paint. Fortunately, while these stains are a nuisance, they aren't damaging in the long-term, and can usually be cleaned fairly easily with commercial paint cleaner. Water leaking into your car's interior is a worst-case-scenario for many drivers. Autumn leaves can actually be a catalyst of this. London's Russell Automotive Centre noted that it's not uncommon for autumn leaves to accumulate in the space under your windshield. This important area directs water from your windshield safely away from the interior of your car, so if it gets clogged, the chances of your interior being affected by water damage are much higher. If you're in the market for a car this autumn, you're bound to find the right model for you at NJ State Auto Auction. With hundreds of Carfax-certified cars on the lot, you're sure to drive away the happy owner of a high-quality used car. What’s really important when shopping for a car? Buying a car isn't like purchasing a new pair of pants. It's a significantly larger investment that will hopefully stay with you for years, so you want to make the best choice before driving away in your fresh set of wheels. Another difference between cars and pants? Cars are exponentially more complicated. While you only need to think about size, price and durability when considering which new pair of trousers to bring home, there are many other factors that can influence your choice of car. Knowing what to look for – and what to look out for – can be the difference between the car of your dreams and a lemon. 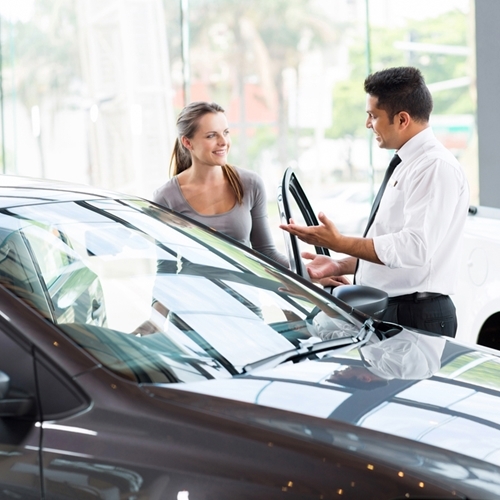 Every car and, by extension, shopping experience, will be different, but here are four factors that tend to be more important when choosing a vehicle. If you want to minimize your car payments, you'll need either a sizable down payment or a decent credit history. This is the big one. In fact, chances are price is the most important factor you're considering when you shop around for a vehicle. But you should understand what exactly cost means within the context of buying a car. Sticker price is a big part of a car's cost, but what's more significant is the financing. Of course it stands to reason that a higher sticker price means that you'll likely need to either make a larger down payment or borrow more money from the bank, both of which can have their own challenges. Credit.com noted that it's generally better to make as large a down payment as possible, as this will not only reduce the amount of money you'll need to borrow to cover the difference, but will also help keep your interest rate lower. If you can't afford the up-front cost of a larger down payment, you'll need a decent credit score to procure a loan at a reasonable interest rate. If your credit leaves something to be desired, or if you have no credit history at all, you still aren't sunk. 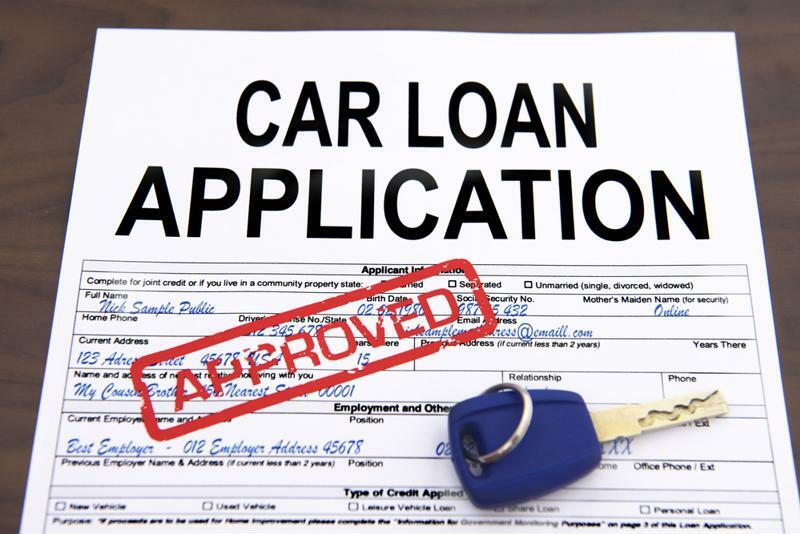 It's possible to procure a loan from a dealer with no credit, but that likely means you'll need to provide more up front. If all else fails, you can consider having a relative with good credit cosign your loan documents as a guarantor. "Fuel costs are an inevitable part of car ownership." Once you've sorted out your down payment and your loan, you better hope you've got some money leftover – you'll need it for gas. Fuel costs are an inevitable part of car ownership, but if you're smart when you're shopping you can reduce them. Fortunately, fuel economy has achieved buzzword status in the automotive industry, and a growing number of fuel-efficient cars are hitting the market every year. Many newer models boast better gas mileage, but if you're shopping for a used car you still need to pay attention. There are resources available online to make this decision easier. Fueleconomy.gov is a government-sponsored site that not only offers useful information on hybrid cars and fuel efficiency in general, but also allows users to compare cars side-by-side to see which offers more bang for your gas station buck. Wait a minute – we already talked about cost earlier, right? Not quite. A car's cost of ownership, also referred to as its total cost to own, focuses not on how much a car costs to buy, but rather how much money you can expect to spend while you own it. This isn't quite an exact science, as cost of ownership comprises many factors. It can take into account things like insurance premiums, fuel efficiency and repair estimates based on the reliability of your given make and model. The good news is there are sites that have demystified the process with online cost of ownership calculators, which you should definitely experiment with before making your decision. 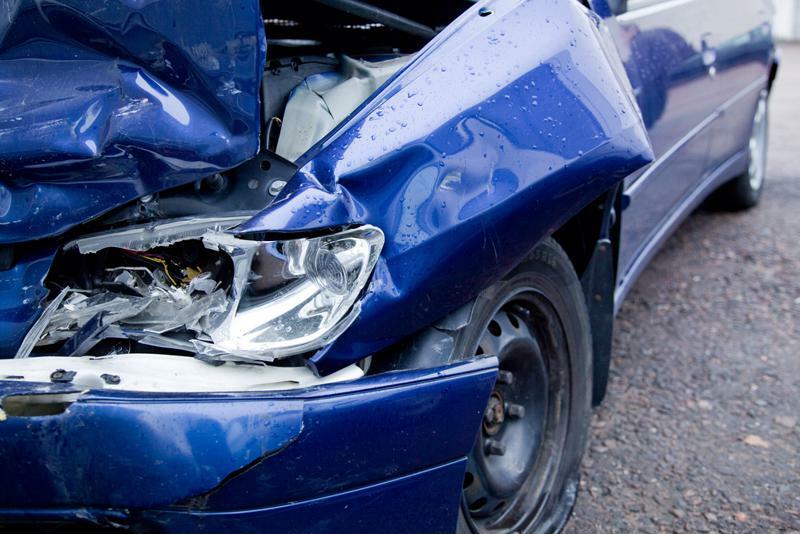 If the car you're looking at has been in an accident in the past, you'll want to know. When shopping for a used car, it's good to keep in mind that you aren't the first person to own it. Additionally, you don't know anything about the previous owner's driving habits, accident history or any number of other factors that can have significant effects on how well your car runs. You should always ask to see the Carfax report when considering a used car, as it will list any major repairs the car has received. However, this is a useful tool, but it's not foolproof – only repairs that get officially logged by a mechanic or dealer make it into the report, so there's no guarantee that you're seeing the whole picture. That said, it's a good place to start. While there's really no way to circumvent this problem completely, there are steps you can take to minimize risk as much as possible. One of the best ways to squeeze out some extra peace of mind is by limiting your search to manufacturer-certified pre-owned vehicles. These are cars that have been been backed by the manufacturer for quality, which means they have received an extensive inspection before being placed on the lot. Many certified pre-owned cars also come with extended manufacturer's warranty. Of course, even certified cars can have mechanical issues, so you'll still want to have your car inspected by a third party before purchasing it. Remember: Just because a car looks good on the outside doesn't mean it's in top condition. Only a multi-point inspection can reveal that information. When you're ready to begin shopping for a high-quality used car, head to New Jersey State Auto Auction. Your dream car is likely waiting for you among the hundreds of Carfax-certified cars on the lot. Posted in How To | Comments Off on What’s really important when shopping for a car? There’s no better time to own a truck or SUV than at football season. You instantly become the person who brings the party, the proud owner of a spacious vehicle that can hold all the necessities: the coolers, the grill, the drinks, the food, and the people. 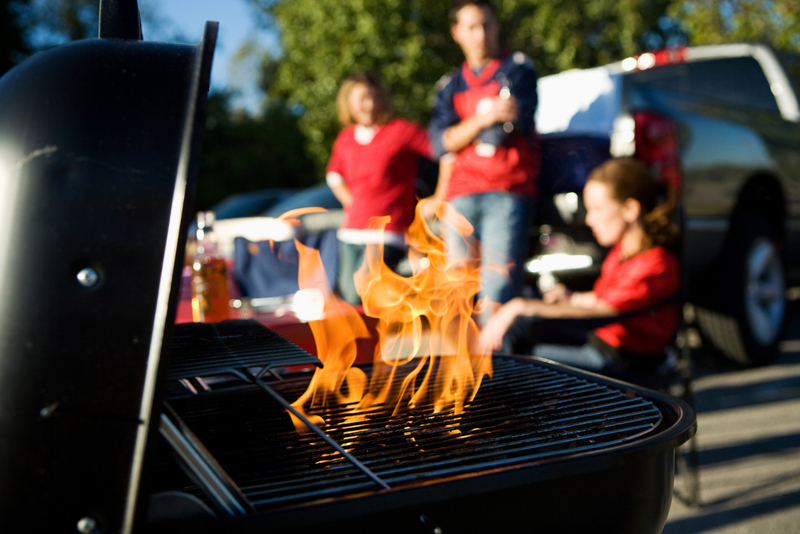 But what about the features that make the tailgating experience even better? Here are some ways to augment your vehicle and get your tailgate on another level. Power outlets: Up your game by using your vehicle’s power outlet. These are standard on many cars, trucks, vans and SUVs, and have a ton of possibilities. Plug in a blender to give your guests a more diverse menu, or plug in a TV or radio to tune into the game. Don’t forget to make sure that your car’s power supply can provide enough juice for what you’re plugging in! USB ports: Make sure your truck or SUV has a few USB ports not only to keep your mobile devices charged while you stay up-to-date on the game, but to use any available mobile syncing. Vehicles like the Chevy Silverado and the GMC Sierra showcase a dedication to modernity with an abundance of available power sources. Satellite radio: Never miss a moment when you opt for satellite radio. You’ll be glad you did when you have a variety of sports programming to choose from. Tune to any number of games, even when you’re far from your home team. Power liftgate: You won’t regret diverging from the “tailgate” aspect when the weather is rough or you’re in need of shade. Though the tailgate may be traditional, many will find the liftgate on SUVs to be more versatile. Be the life of the party when you arrive in one of the dozens of trucks, vans, and SUVs from our used car dealership. Come visit our dealership in Jersey City and pick your next party on wheels today! Hurricane Joaquin recently created some seriously wet conditions for drivers along the east cost of the U.S., from gale-force winds right down to severe thunderstorms and flash floods. You may never be more thankful for your car than when you're driving to work in a downpour, but don't let the convenience of having your own wheels distract you from the safety issues that stem from driving in the rain. Whether it's a drizzle or a downpour, rain instantly adds extra considerations to your regular driving habits. Here are some tips for staying safe on the road while it's raining. You may have already guessed the biggest and most important tip for staying safe in the rain: slowing down. It's a simple concept – the faster you're driving, the less time you'll have to react in a potential emergency situation, such as a car spinning out of control or having a pedestrian step in front of you. What's more, driving faster can reduce the control you have over your car. In wet conditions, when roads are more slippery than usual, anything that reduces traction and your control is dangerous. When driving in the rain, slow down and keep your eyes on the road to avoid accidents. If you keep hearing about proper tire maintenance, there's a good reason for it. Tires are one of your car's most important safety features, as they facilitate the connection between the road and your car, so it's important to make sure they stay equipped to do that essential job. If the tread on your tires is worn down, it can drastically reduce traction and control even in the best conditions, let alone sub-optimal ones like heavy rain. 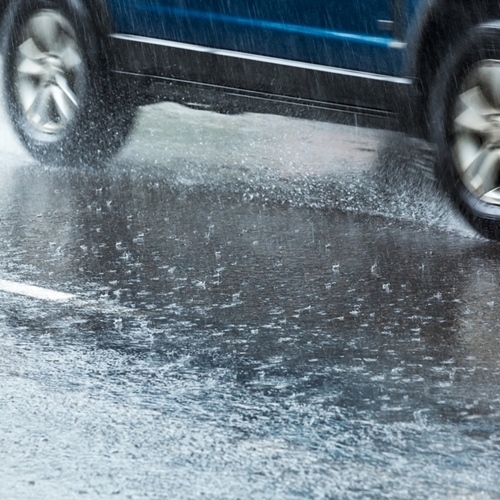 Even worse, the addition of water to the road can cause you to hydroplane. This is what happens when a layer of water wedges its way in between your tires and the road, and it can reduce your control to virtually nothing. Check your tires regularly, both to ensure the tread is in good shape and the air pressure is where it should be. You can determine this by checking your car's owner manual. Traction issues aside, rain can also reduce visibility drastically, even in the daytime. Clouds and heavy rainfall can obscure your vision, which can compromise your safety behind the wheel. This is why you should turn on your headlights when it starts raining. It's not so much to illuminate the road as it is to increase other drivers' visibility of you and your car. Most newer-model cars are equipped with standard daytime running lights that switch on automatically with the ignition, but if you're driving an older vehicle you may need to turn on the lights manually. "Cruise control is a convenience feature meant to make your life easier." It may not seem like it, but driving can be tiring, especially if you're doing it for a long period of time. Advances like the now-ubiquitous cruise control are designed to alleviate that stress. But you should note that cruise control is a convenience feature meant to make your life easier, not a crutch you should use indiscriminately – especially in the rain. According to AAA, cruise control doesn't allow you to slow down by removing your foot from the accelerator, but only by stepping on the brake. In the rain when the roads are wet, this can contribute to you losing traction and possibly even spinning out of control. Driving in the rain can be perfectly safe with the right knowledge and a high-quality car, like the ones you'll find at New Jersey State Auto Auction. The hundreds of Carfax-certified cars on the lot are great for drivers of all ages and experience levels looking to drive away in the vehicle of their dreams.